Mr Bru Cru: Rap God. I've heard tons of slander thrown Eminem's way. Some have said he doesn't have it anymore. He isn't relevant. Some said "I don't even think he's that good" and the occasional "he should just retire he's had his time". Everyone is entitled to their own opinion of course but you can't deny the obvious. Eminem is still top 3 best rappers ever and out now. His latest visuals for the "toughest song to recite" has finally hit the web and it doesn't disappoint. The video actually makes me love the song that much more. 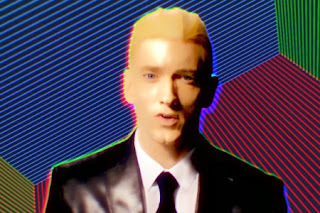 It's one thing to hear the song and dismiss it but if you actually listen, he is telling us WHY he's a "Rap God". Enjoy.